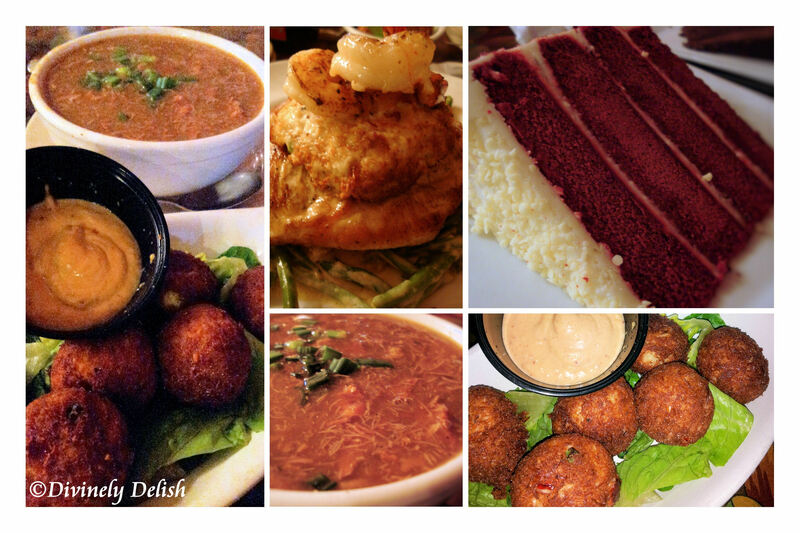 Trying the food in New Orleans is probably on the top of most people’s To Do Lists when they visit the city. It was definitely something I was eagerly looking forward to. While some restaurants we ate at were great and others just so-so, overall I had some pretty amazing food. Anyone who’s ever visited New Orleans has probably been to the famous original Cafe du Monde in the French Market at 800 Decatur Street. Depending on when you go, you may find yourself waiting in a long lineup. And even if you don’t have to wait to get in, you have to be quick and pretty much grab the first available table that you see. It does seem kind of disorganized – after we sat down we weren’t sure if we had to go up front to order. I mean, in such a huge place, how would a server even notice us? But some people next to us assured us that someone would be coming by to take our order. Sure enough, that did happen, and service was good. Keep in mind though, you have to pay the server as soon as your order arrives. I’m not a huge fan of fried dough (or anything deep fried, for that matter), but I have to say the beignets were really good. They come heaped with powdered sugar, so I just shook off the excess, and thoroughly enjoyed them with a cup of their aromatic chicory coffee. The great thing about this place is that it’s open 24 hours. Yes, it’s very touristy, but worth a visit! I love watching Diners, Drive-Ins and Dives. So when we found out that Guy Fieri had visited The Old Coffee Pot Restaurant in the French Quarter, we just had to check it out. I couldn’t get enough of the Crab Balls with remoulade sauce. The Fleur de Lis Chicken was something different and simply delicious. The dish consists of chicken breast topped with lump crab meat and shrimp and served on a bed of Andouille sweet potato hash and green bean casserole….mmm…how yummy is that?! The Chicken and Andouille Gumbo was ok, but too salty, and although the Chocolate Cake was decent, I was disappointed with their signature dessert, the Red Velvet Cake, which wasn’t as fresh and moist as I’d expected. You can actually order the “Triple D” special – a combination of the Fleur de Lis Chicken and Jambalaya – two dishes which were featured on one of the show’s episodes. It was probably around 11 pm on Christmas Eve when we stumbled upon Desire Bistro & Oyster Bar while walking around Bourbon Street looking for a restaurant to have dinner. This turned out to be one of our best meals on the trip! We went with the traditional, and had the Jambalaya and Gumbo, both of which were really good, as was the service. Unfortunately, since we had just eaten a little something beforehand, we weren’t that hungry, and couldn’t try other items on the menu. 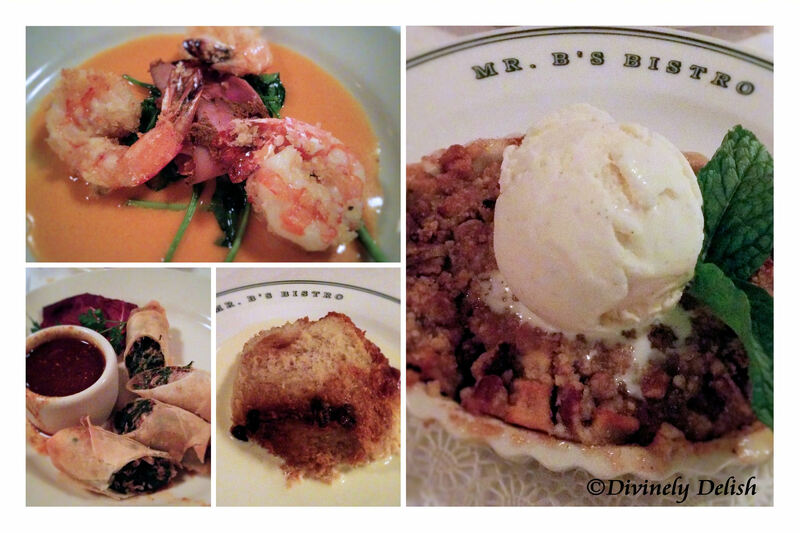 Several people we met had recommended that we eat at Mr. B’s Bistro. With no reservations, we showed up at the restaurant on New Year’s Eve and were told we’d have to wait about an hour. Luckily for us, we got a table after 15 minutes. 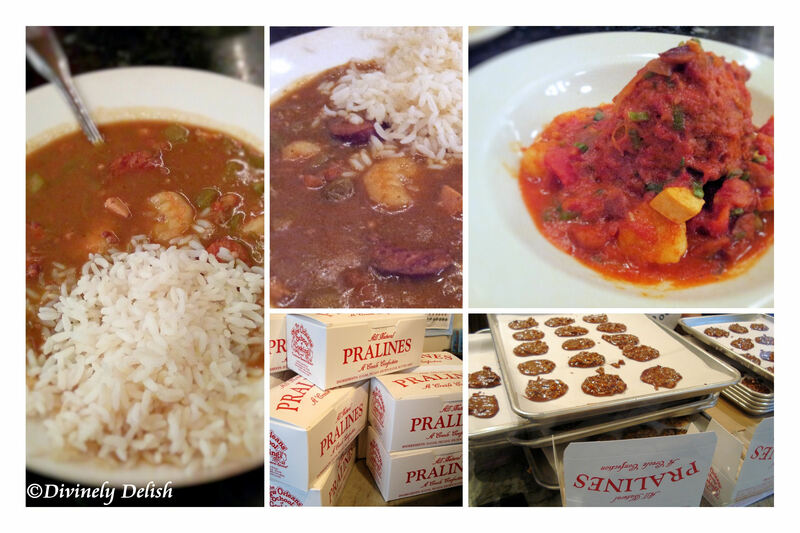 The popularity of this iconic Creole restaurant was obvious – it was packed. The Duck Springrolls and Gulf Shrimp Solari appetizers were very tasty, but we weren’t too fond of the Gumbo entrée. For dessert, we ordered the Apple Crisp and a New Orleans favourite, Bread Pudding. Both were very good. The Bread Pudding – served warm, with an Irish Whiskey sauce – was especially yummy! Overall though, I thought the dishes were really overpriced for what we got. We came to The Camellia Grill on New Year’s Eve to escape the cold and rain for a bit during the countdown to midnight. It was late night, we were hungry and freezing, and this was the perfect place to be. This is your classic old-school greasy spoon counter-seating diner. Nothing fancy, but the food is cheap, it’s good, the service is excellent and it’s got a great atmosphere. They don’t even write down your order but apparently they always get it right! Something else we discovered in New Orleans was pralines. I was more familiar with the Belgian praline – a chocolate with a soft, creamy centre. But these pralines are Creole confections made of caramelized sugar and pecans. Actually, they look more like cookies, although they definitely have the sweetness of candies. It’s a nice treat, although if you eat too many you’d be on a sugar high! I had the opportunity to stop at Café du Monde once. 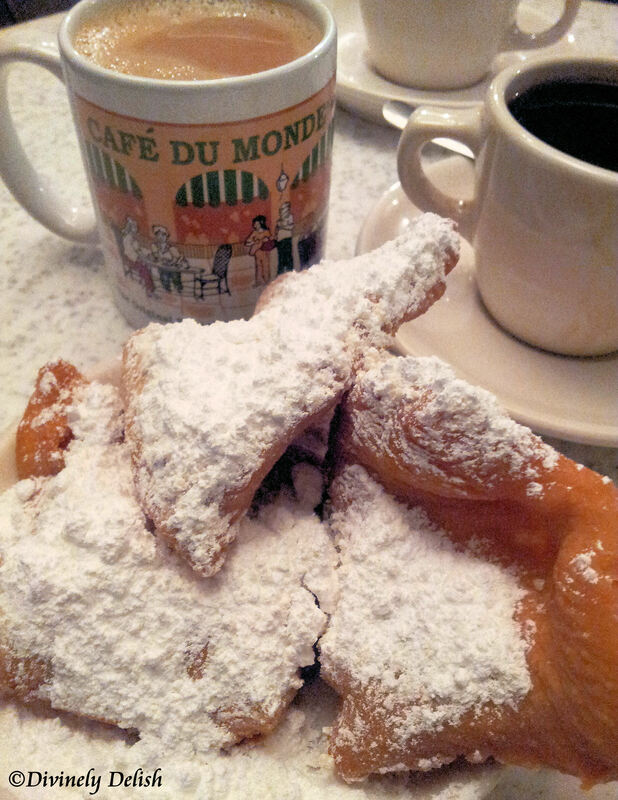 I had the Cafe au Lait and beignets. A delicious afternoon treat!